Friends for over 20 years, Atlanta businessmen Pat Epps and Richard Taylor have pursued adventure with the spirit of two mischievous boys chasing a girl with pigtails. Epps, the ebullient son of a Georgia aviation pioneer, is the owner of Epps Aviation at Atlanta’s DeKalb-Peachtree Airport. Taylor is an architect, pilot, and born storyteller. Every summer, the two would take a small airplane and set off somewhere: sometimes to Mexico, but more often to colder climes. In 1978, while attending the Experimental Aircraft Association’s annual fly-in at Oshkosh, Wisconsin, Epps and Taylor decided in the reasonable manner of lifelong Southerners, that as long as they were that far north, they may as well try to reach the North Pole—one rolling the pole, the other unrolling it, as they like to joke. Their status as Arctic explorers confirmed, they decided to tackle another northerly adventure Epps had casually dismissed a few years earlier. The idea came to Epps via Roy Degan, an airline pilot based in Atlanta, who’d heard an incredible story from a man who’d flown P-38s in World War II. The former Army Air Forces pilot, Carl Rudder, had taken part in Operation Bolero, a mission to ferry fighter planes across the north Atlantic to England. Bolero’s first flight—led by Paul Tibbets, who later gained fame as pilot of the airplane that dropped the first atomic bomb on Japan—successfully completed the journey. The second—Carl Rudder’s—didn’t. Rudder’s flight of six Lockheed P-38F Lightning fighters and two Boeing B-17E Flying Fortress bombers ran into bad weather on the third leg of the trip and turned back outside Iceland. But their intended landing site in Greenland was closed and, low on fuel and disoriented in the storm, they couldn’t make it to another. 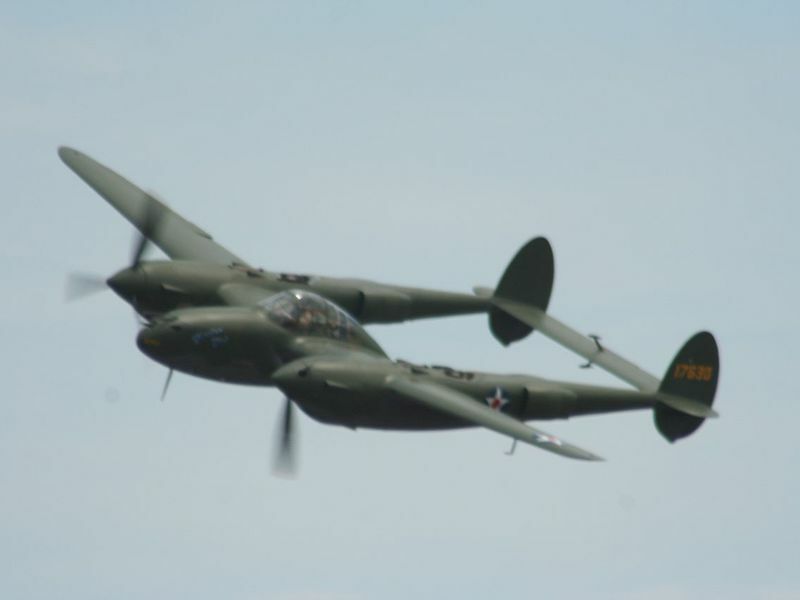 The pilots decided to attempt to land on the ice cap, with P-38 pilot Brad McManus, the lowest on fuel, going first. Thinking the ice looked flat and firm, McManus went in with his landing gear down. "If I’d been a little more mature and older, I’d probably have said, ‘Gee, this is silly to try to save this airplane. Let’s just get it down and get out of it alive," he says today. "But I did try to save the plane, feeling that if we could get in with our wheels down, we could fly them out." For a moment it looked as if he’d made it, but then the nose wheel collapsed and the airplane flipped over. The remaining P-38s all landed with their wheels retracted. The B-17s stayed up for another hour or so, sending out S.O.S. signals before they too bellied onto the harsh and desolate site. For nine days, the 25 men on the flight huddled inside the two B-17s, where they lived, all things considered, in relative comfort. There was little concern about rescue—supplies had been dropped on the third day, and word came that a rescue team was on its way. Men from a special Army Air Forces unit driving a dogsled finally arrive on July 24 to lead the downed crew on an arduous 10-mile march to the south-east coast of Greenland, where a Coast Guard cutter would be waiting. "There were very mixed feelings at that time," McManus recalls. "There’s a bonding that occurs between a young pilot and his own plane, and when you left you were saying goodbye to it in a sense, and that was a very sentimental moment. On the other hand, we were being rescued and we were getting out alive, with no injuries or deaths, and on that note it was kind of a joyful moment that we were final going to get off the ice cap." The eight warplanes sitting behind them on the vast sheet of ice would be largely forgotten amid the greater drama of the war—except by the men who flew them. Book Excerpt: "On Cuban Wings"